<-Thanks to VideoBoo for this guy! <-Thanks to KoopaYoshi for this guy too! <-Thanks to MBU for this one! <-Thanks to Fawful117 for this one! First Appearance: Mario Kart Double Dash! This user is Bowser's luma. @ This user can be reached by email at bowsers_luma@yahoo.com. Just put your username in the subject line. 50px This user says you must view his Super Mario Wiki edit count! 50px This user thinks someone should actually invent Item Boxes. 50px This user still doesn't know why this is here but likes it. This is a flying 'shroom. 40px This user is a friend of FunkyK38's. 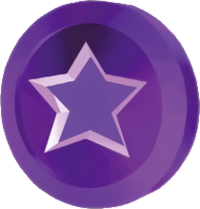 This user is freinds with GalacticPetey. 35px This user is friends with Monteyaga. This user is friends with Dry Dry Bones. This user is friends with Superboo922. This user apparently is friends with Young Master Luma. This user is friends with DaisyRox02. 30px This user is friends with the awesome Kinggoomba. This user is friends with Sh1ny EL3ct0de. This user is friends with UltimatePetey! This user is friends with Ultramariologan. This user is friends with YoshiGo99. This user is friends with BoygeyDude. This user is friends with Reversinator. This user is friends with DKPetey99! 50px This user is friends with Ilove marioandtoad. 35px This user is friends with SuperYoshiBros! How awesome! This user is part of the resistance. This user is a member of the Boo Shroom Squad. 50px This User recieved a FREE Yoshi Egg from the Boo Shop! This User recieved A FREE GIFT from the Boo Shop! This User Is Boowhoplaysgames (talk) left hand employee! This user wants to scream "Duh-luhdiluh!" (which is "GO KOOPAS!" in Koopa-ese). 45px This user thinks Sushie is an awesome name for a fish. 60px This user is a good singer. 45px This user thinks Boygeys are cute. 40px This user likes trains. This user finds it funny to pull out Larry's wand plug. vg-2 This user is an intermediate gamer. prog-2 This user is an intermediate programmer. 35px This user's userbox is on another userpage. File:X mark.png This user is probably offline. 75px It is THIS USER who added the nuts to that Statue! This user thinks that you need to move onto the next dish. This user says "Do a Barrel Roll"! This user works for the Koopa Troop, but isn't evil enough to join the Anti-Mario Force. But he's still pretty dark. 50px This user needs to get a life. This user tries to be a Super Mario Wiki contributor. This user thinks Articuno is a cool Pokémon.
? This user likes to edit random pages. This user really should have had a V8. This user has a short temper. This user likes to surprise people. This user's birthday is on July 3. 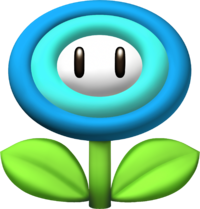 This user likes Daisy's new look. 50 px This user plays tennis. File:DizzyDial PM2.gif This user knows that he is crazy. User yay This user is a user! This user likes watching things go kaboom. 50px This user is a nerd. This user has had a girlfriend. MKJ This user's favorite koopaling is Morton. this user runs around like a maniac. This user owns a Nintendo DS Lite. This user wishes he had a trampoline. User-pge This user spends more time editing his Userpage than the actual Wiki. 50px This player thinks Rosalina is extraordinarily pretty. Wario, you're a fattie. Go Goomba! 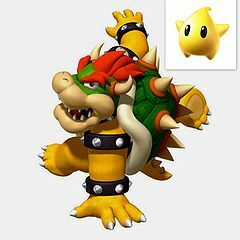 File:Bowser.gif This user likes to spin in circles even more as Bowser! WHEEEEEEEEEEEEEEE!!! 45px This user thinks Paratroopas are more than just Red Koopa Troopas with wings. 45px We love baseball! This user enjoys the Mario Baseball series. This user is scared by this image. This user thinks that PENGUINS RULE!!!!! 50px This user is very smart. This user thinks Bowser needs a new plan! This user really really really really really HATES the Super Mario Bros. movie. This user plays the Pokémon series. This user is freaking out. * This user can not be found on any IM network at all!! This User thinks Shy Guys are just misunderstood. File:Mariosk.PNG This user plays with fire! This user thinks Daisy is crazy. They're Userbox This user hates it when people use "they're", "their", or "there" incorrectly. 30px All your base are belong to this user! 50px This user thinks "sysop" is a fun word to say. SYSOP. This user has the power to make Mario rapidly change colors. MWAHAHAHAHAHAHAHA! This user thinks Chuck Norris is overrated. This user had no idea that Kirby was a Jedi. This user likes to go up. User BOX This user has a userbox. This user is made of metal. This user is Chuck Norris approved. This user shall destroy you with his new Banzai Bill! This User DOESN"T Have a Brawler card (but he still has permission to kick *Bleep*). I'm Bowser's Luma! My favorite games are Mario Kart Wii, New Super Mario Bros., and Mario Super Sluggers. I'm into the new Mario games and I don't know much about old ones. I'm sure I can help the wiki with new game articles. I am proud to say that CoD stands for Character of the Day and RPG is Role-playing Game. No other user's English teacher has given him a lenticular Wario Land: Shake It! bookmark. No other user gives his Pokéwalker to his mother to walk with at her job instead of him using it himself. No other user uses the term "Jerry Recycled Batteries" as an exclamation. Here's a list of the Nintendo games I own, and the Mario games I have played but don't own. This user is a friend of Bowser's luma. These are my friends. If you want to be my friend, talk to me on my page! This is mostly here so I can get to their pages easier, but feel free to check it out! And here is a link to it so I can find it! First to be snagged, Edo! I've always liked his sig! The one, the only, Reversinator was snagged second! The one, the only, Bowser's luma! Third to be snagged was 'Shroom Director Stooby! Fourth, by request, Dry dry bones, my best wiki friend! Sixth, another request, Cosmic Red Toad, the adaptly named brother of Cosmic Blue Toad! Seventh, Bulbapedia user (and one on this wiki too), Lilkaykaygal! Hello. My name is Bowser's luma. Dry dry bones made this. The snagger got snagged. I am serious about my Sluggers, and like to dominate my opponents. So, I made an A-team and a B-team of the best combos I could find myself. Here they are. This just proves that sneezes speak louder than words. I like monster trucks (who doesn't - they are big and crush stuff), but this video of the truck Bad News Travels Fast is insane. Mario should drive a monster truck one of these days. I had never seen this until Dry Dry Bones posted it on his page. Another worthy video! Here's one Luma's attempt at songwriting: the second verse to the Mario Plumber Song. Please tell me what you think. Even if you think it is Pianta poo. You don't have to fight Bowser Jr.
Hey now, you're a plumber, get your plunger, go plunge! Hey now, you're a rocker, get your guitar, go plunge! Mushroom heavy metal. View it, love it, fear it. Here are some things I purchased from various users' stores. Don't touch. If you want something, BUY IT YOURSELF! He is an aggressive animal that needs to be calmed down at times. It has a huge temper and it can destroy anything in its path. You got Fawful! He'll use his headgear to attack your enemies and will also make you delicious sandwiches with his mustard of doom! You got Flare! He'll shoot mini fireballs out of his mouth at your opponents! You got an Allie! He'll teach you how to play tennis!